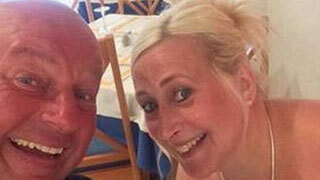 A Liverpool, England couple have been jailed for making bogus holiday sickness claims on two different holidays to Majorca in 2015 and 2016. Deborah Briton, 53, and partner Paul Roberts, 43, both visibly shook and cried at Liverpool Crown Court as their verdicts were read out. Briton was sentenced to nine months in prison after admitting four counts of fraud in the private prosecution brought by operator Thomas Cook. The court heard how they tried to claim thousands for gastric illnesses, which they claimed they had picked up at the Globales America hotel in Majorca. According to the BBC, Briton and Roberts had holidayed there for two years in row with their two children. Judge David Aubrey QC noted that there had been an “explosion” in gastric illness claims made by UK vacationers. UK travel industry Abta has recorded a 500% rise in holiday sickness claims in recent years, driven by dishonest claims companies that used touts to approach packaged tour clients in-resort and promise them substantial rewards for fake claims that they experienced food poisoning from resort food.